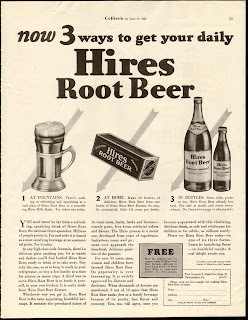 Does anyone else like Root Beer? 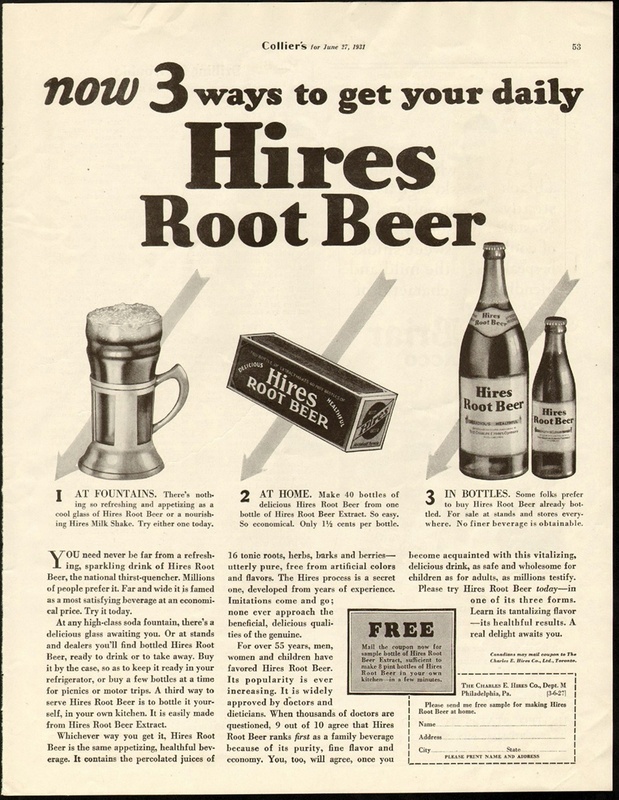 I know I do, along with it's distinguished brother Birch Beer and it's back of the woods cousin Sarsaparilla. I suppose you could argue that Moxie is a part of the family, although Moxie's main taste is Gentian, the same herb they put into Peychauld's Bitters, used in the Sazerac Cocktail. But all that is for another time as I'm going to concentrate on the Hires ad above. When I was a kid I was always in love with camping. My Grandfather gave me my first Boy Scout tent when I was 5 and I remember having so much fun in the backyard with it. Later on I was able to go away each Summer to one of the top sleepaway camps in Western Maryland where we had fun doing all the things you expect when you're a kid at Summer Camp. I remember I was best at Archery and Boating but never a dab hand at Arts & Crafts. 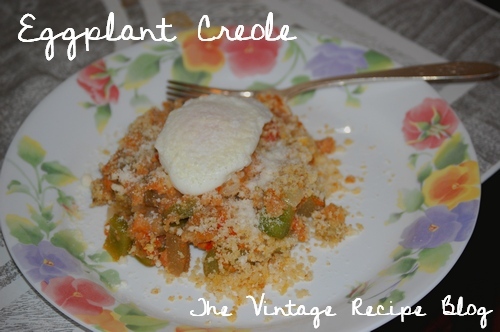 The other day I talked about what people ate from day to day during the Great Depression and this is one of the recipes that I have been able to uncover. I love green beans and they're really a cheap side dish whether you cook them frozen or canned and they are easily grown fresh in a garden (they're quite prolific actually). 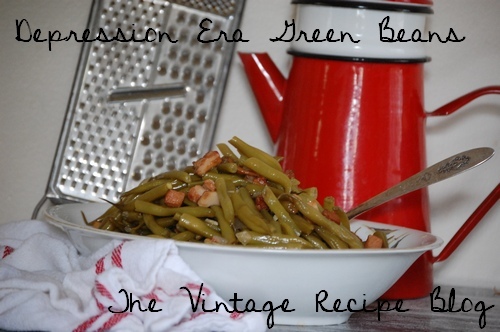 Right now we're in the midst of green bean season in Florida so we're getting some great beans out of Boynton Beach so I decided to give this recipe a try during Easter. I don't think my wife was too fond of them but I made a huge batch and ate them as lunch a number of days until they were gone. During the Depression this dish would have been a main meal using only a little bacon for the meat but yet turning out quite filling and not too bad nutritionally either. They benefit from sitting in the fridge for a day to mellow out the flavor a bit but are still good they day they are cooked. When I first started eating what I termed "The Vintage Diet" I didn't really know what to expect. I was 360lbs at the time, a smoker albeit only 1/2 a pack a day and I had borderline high blood pressure at 155/85-90. Here I was in an unhealthy state about to embark eating what we have been lead to believe is the unhealthiest food ever, full of fat, butter and salt. But here I am over a year later, my weight has dropped to 318lbs and my blood pressure is 120/80 not bad for an almost 40 year old. I could stand to lose more weight but 318 seems to be a major resistance point for me and I'm having trouble getting past it. Note: This recipe has been edited 12/18/14 from the original as I finally got it to come together the way the original was supposed to look like when finished. This recipe is from a Crisco sponsored cookbook printed in the early 1920's. When I first saw it I expected something spicy, after all it's Creole and Louisiana is known for it's fiery foods but in this case Creole seems to be mean cooked with tomatoes. I made this recipe the way the original was laid out but immediately saw the need for some changes as the cooking directions are rather vague as vintage recipes are wont to be and it also calls for the boiling of the eggplant which was something of a disaster (We now boil the eggplant, see below). Keep this in mind when you make it that this is the modified, kitchen tested recipe which is what sets this blog apart from other vintage recipe sites. 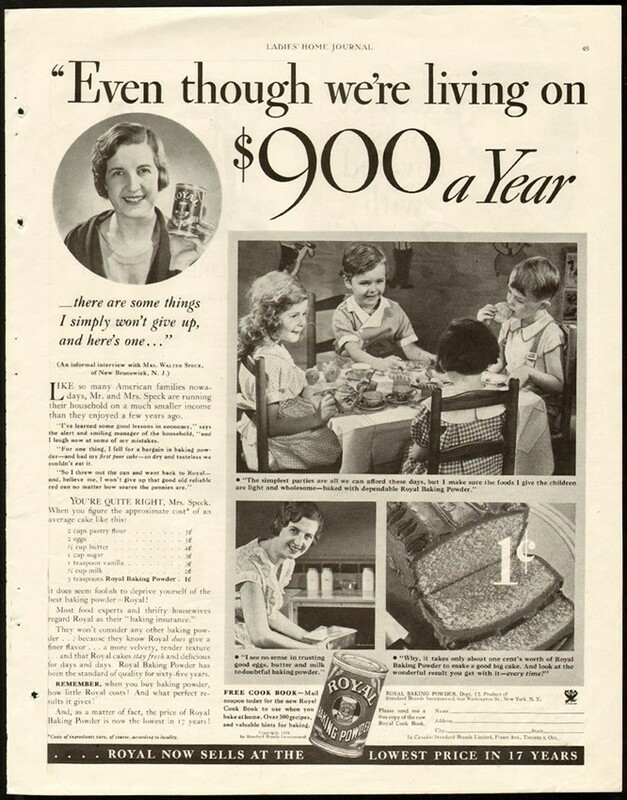 This recipe was a side dish in it's original form but by the 1930's the Great Depression had turned it into a main dish. I ate it with a poached egg on top and it is both a nutritious and filling meal that doesn't cost that much. This recipe lived on into the 1960's where it appears again in another of my cookbooks returning to it's roots as a side dish. 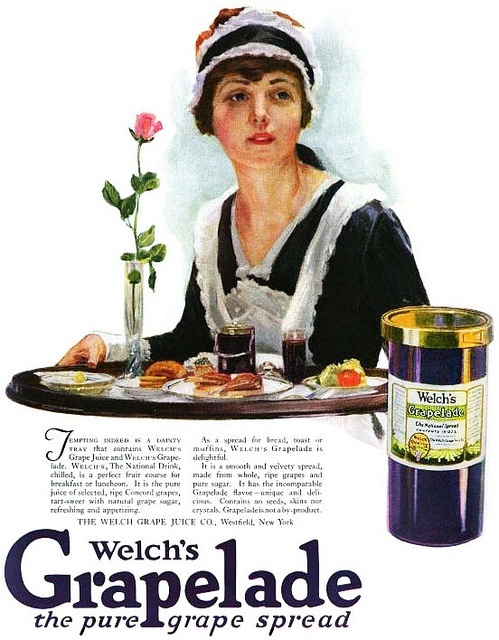 I find that I haven't written in a few moons about old ads, which used to provide much fill material back when I started this blog and I didn't have as many recipes to write about. Also I used to have time to write every day back then but with a full time job now my time is limited and tend to concentrate on the recipes, saving the ads for the Facebook Page devoted to this blog. This ad just piqued my interest though as I knew there was a story behind it. Finding good information and recipes from the Depression Era is a rather unforgiving task. Most recipes that have survived are more of the "Good Times" recipes that were made for Sunday dinner or special occasions. What I would like to focus on though is what people ate day to day. The information is out there especially from the people who are still around that grew up during those times but the more I unearth on this matter, the more I have to wonder, would people today live on a diet of what they ate. 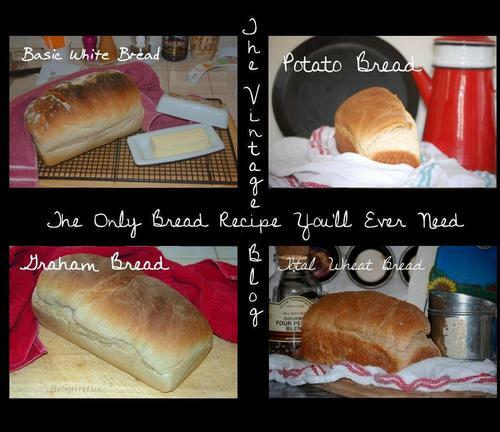 Back in the old days, home cooks didn't trouble themselves trying to make artisan breads. Sure you can spend a fortune on pans, rising baskets, flours, enhancers, etc trying to bake loaves like the professional bakeries put out but I have to ask why? Most artisan breads are entirely unsuited to the one thing we will most be doing with them, making sandwiches. I have many vintage cookbooks in my collection now and while here and there you encounter a recipe for French bread, noticeably absent are the ciabatta breads, sourdoughs, challah breads and other loaves that are outside of the purvue of most home bakers. Instead is a more practical approach meant to be frugal not topple you off the fiscal cliff in a unforgiving quest for the proper crumb size. Commercialized Organic - Products with Organic Labeling that use questionable ingredients or processes that although allowed by the FDA don't exactly make for a properly organic product. Just remember you heard it here first. I love it when a vintage recipe just clicks together with a minimum of effort on my part. This recipe is one of those chosen few that need no real tweaks on my part to work well. 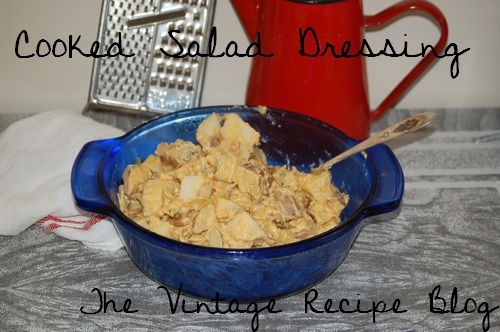 With this dressing you can make either old fashioned potato salad or coleslaw but I think to my taste it works best in potato salad. The original recipe says it can be served either hot or cold but I did mine cold for use with Easter dinner. Give the sauce time to cool down before adding to your potatoes. There's alot more to see on our Facebook Page! Click "Like" to get started!